This is something I’ve noticed whenever re-reading The Lord of the Rings. I find myself thinking that he is the most reproached individual out of all the characters. He often serves as the audience’s bridge to the story, speaking the reader’s mind when interacting with other characters. For that reason, he finds himself reprimanded, sometimes quite severely. Well, here it is. 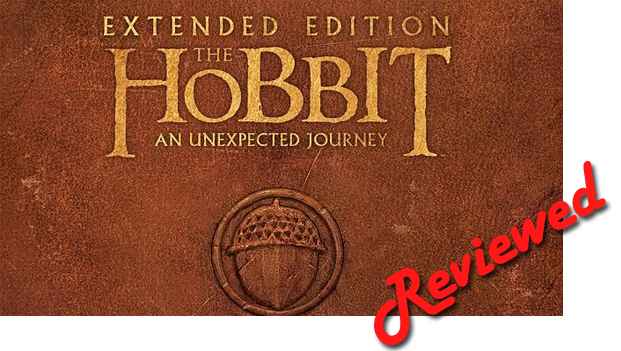 Almost two years later, here follows the continuation of the massive The Lord of the Rings review. I’m ashamed to state it took me so long. But finally, here it is. Mind you, this is only Part 2 of 3 of The Fellowship of the Ring, which I’m hoping won’t take as long to write. In the meantime, you’ve got much reading to do in this second part. I love Tolkien-related questionnaires. They’re always so difficult to respond and to pinpoint a specific character of text to like; but they’re fun and a great way to learn about yourself and your love for Middle-earth. So, in honour of the second day of Tolkien Week, here’s a nice little set of questions put forward by fellow blogger, Hamlette on her blog. It’s Friday today and that means another post from the Gaffer’s Elite! Now I had announced a “favourite characters” ranking last week, but in the meantime I thought there’s just one more post I need to do before getting to that. Undoubtedly, one of the most appealing things about Middle-earth, and the reason why we keeping going back to these films and reading the books, is due to the vast variety of locations the stories take place in. In 6 films, Peter Jackson and his creative team have visualised much of Tolkien’s fertile creativity and sublime imagination. Suffice to say, the combination of visual effects, set design and New Zealand’s natural breathtaking countryside, have given us a wealth of fantasy locales unlike any other. I know I said I’ll continue posting my ‘The Lord of the Rings’ review, but since that is taking rather longer to complete, I thought I’d write a couple of posts on news that is more pressing and currently ‘hot’.